In an emerging market, health informatics companies are designing new and specific clinical decision support tools (CDS) with cost saving measures in mind. Many developers market their service as an upfront cost to long-term major savings. As defined by the U.S. National Library of Medicine, health informatics is the interdisciplinary study of the design, development, adoption, and application of IT-based innovations in healthcare services delivery, management, and planning. 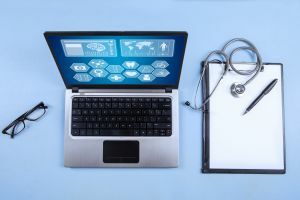 The successful implementation of health informatics systems (HIT) requires appropriate meaningful use, system interoperability, and safety that the system will work appropriately. A HIT system requires a dedicated internal team to ensure these goals are met and provide guidance on their usage and implementation for the providers or organization using the products. These CDS tools work with many goals of the Affordable Care Act in mind, such as reducing hospital re-admission rates through the application of metadata – data about the data, used to facilitate in understanding, characteristics, management, and use of data – or through other audits of a patients’ chart. Effective use of CDS tools in an enterprise model targets a specific population which has been identified as the highest risk of danger for anticipated or current use of healthcare resources. With this new information the insurer can then make decisions based on this group to reduce their risk, including allocating additional provider and service resources, detecting potential drug interactions, and increasing access to services. In today’s era of cost-cutting measures, value-based payment models, and increased insured population, insurers who implement appropriate health informatics tools can ensure patients are adequately cared for with targeted therapies while eliminating unnecessary costs. With widespread use, CDS tools and HIT systems can bring about the goals of the Triple Aim1 – improve population health, improve the patient experience, and reduce per-capita cost of health care – for payers and insurers.